The Toronto Marlies better get used to the Air Canada Centre. What began five years ago, as a one-game annual holiday tradition, the Marlies will play a record four matinee contests at the ACC this season. The team will skate on the big rink on November 28, February 20 and March 26, in addition to the Boxing Day Classic on December 26. While the Marlies lost the distinction over the summer of being the only AHL team in the same city as its NHL affiliate – the San Jose Barracuda and revived Manitoba Moose taking up residence in the Sharks and Jets markets respectively – the relationship between both Toronto squads will be crucial as the first season of the rebuild gets underway. 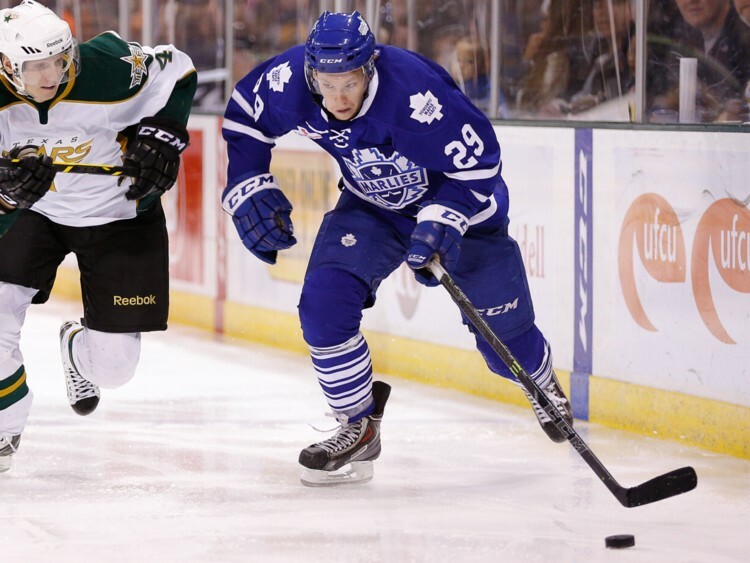 Marlies a huge part of Leafs rebuild obviously and should be an exciting team to watch. Be interesting if fans get on that bandwagon. Since December 2010, the Marlies have played an afternoon home game on Boxing Day against the Hamilton Bulldogs. Dubbed the Boxing Day Classic, the game was moved in 2011 to the ACC to accommodate more fans and create a holiday tradition. 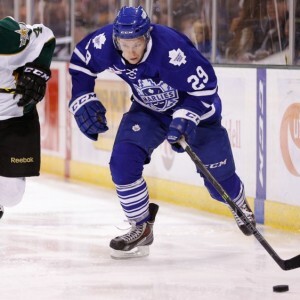 In the midst of the NHL lockout in 2012, a sellout crowd of 18,800 fans showed up to watch a stacked Marlies team – one that was coming off a berth in the Calder Cup Finals – in what was the largest attendance for an AHL indoor game in Canada. That led to the Marlies adding a second ACC date in 2013-14 on the Family Day long weekend, which remained on the schedule last season. The game last February was the back half of a home-and-home series played in NHL rinks against the Binghamton Senators, with the opener played at Ottawa’s Canadian Tire Centre. All four Marlies games at the ACC will occur on Saturday afternoons, three of them just hours before the Leafs take to the ice on Hockey Night in Canada. Aside from the Boxing Day Classic that falls during the NHL’s Christmas break, the doubleheaders will undoubtedly give William Nylander, Connor Brown and others a chance to prove themselves as key pieces of the rebuild in front of Brendan Shanahan, Lou Lamoriello, and Mike Babock, not to mention the increased media contingent, right after the big club has taken morning skate. Continuing their rivalry with Montreal’s farm team this season, the Marlies will play all but one of their games at the ACC against the Habs’ new affiliate, the St. John’s IceCaps. With the departure of the original Jets-affiliated IceCaps to Winnipeg, the Canadiens moved their minor league team to the Newfoundland capital over the summer. The teams will also be in the same division, with the Marlies shifting to the eastern conference. It gives both sides a chance to continue a natural rivalry, not just as the top prospects of Toronto and Montreal, but also as the clubs representing St. John’s against the city’s former franchise – when the Marlies were known until 2005 as the St. John’s Maple Leafs. The Winnipeg-owned IceCaps already established this foundation, which will only grow with the teams playing each other 12 times this season, the most the Marlies will see any opponent. With three of the six home tilts coming on Leafs ice, it’s a prime opportunity for top prospects who want to be part of the solution in the coming years to make a statement.